The batter for this is the same as the regular dosa. But the trick to make a cone, Will explain this in detail below. 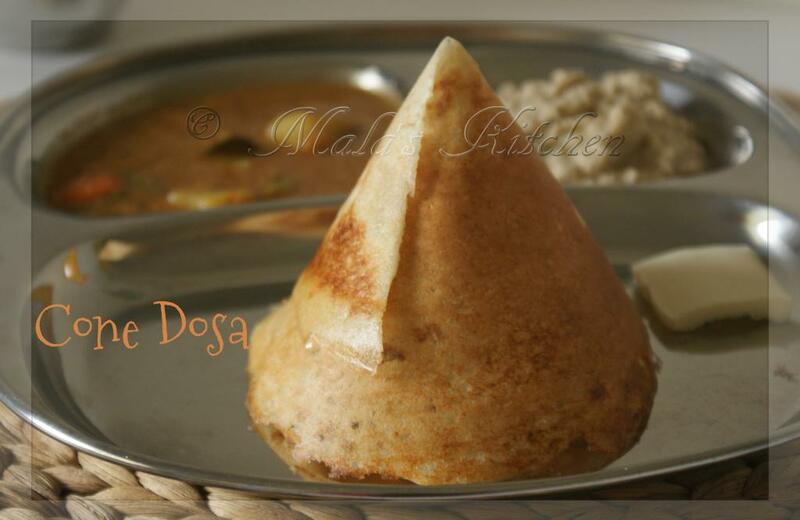 My 2 kids love the cone dosa instead of regular round dosa. Learned how to make cone dosa in my parents place Mysore, India. Melted butter and oil mixed it, in a spoon pour oil and butter on the edges. When it is almost golden roasted switch of the flame. Take a knife or scissors or sharpen spatulla (whichever is handy) cut the dosa into 1/3 (till middle) and flip over and roll till the other edges. Looks very cool Maala. But sounds complicated too..